I had the pleasure of delivering this 3 tier naked wedding cake to Stambridge Memorial Hall, near Rochford for the reception of Louise and Neil, on Saturday 19th September. The hall had been decorated to look like a village fair and looked so pretty. 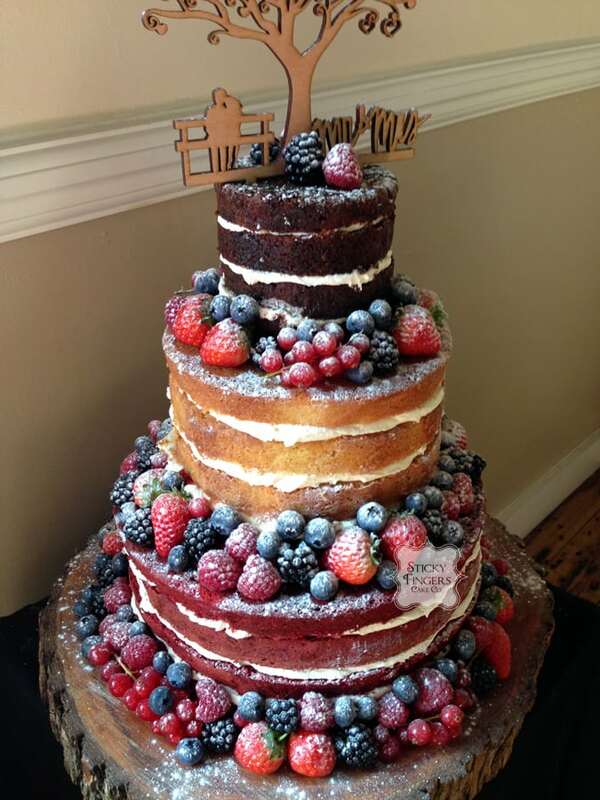 The flavours they chose were Red Velvet, Madagascan Vanilla and Carrot and Pecan and I decorated the cake with seasonal berries and a dusting of icing sugar. Huge congratulations to the both of you and I hope you have a long and happy life together.